Lights, snacks, ACTION! We’ve set the scene, all you have to do is gather your dream cast (family)! 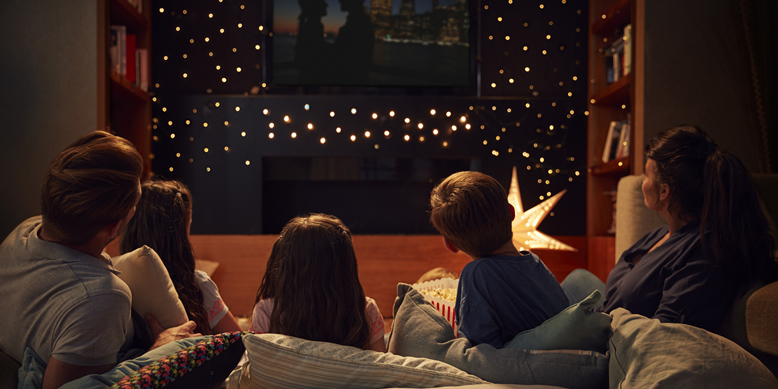 This family day, plan the ultimate movie marathon with the help of your friends here at Maple Lodge Farms. Can’t decide what to watch? Like a great supporting actor, we got you! Here is a list of some of our family favourites for every age group and the perfect movie snack combo. Paddington & Paddington 2: The iconic bear comes to life in Paddington and Paddington 2. The sandwich loving bear will not only make your little ones laugh, but he may just give parents a nostalgic feeling. Coco: This colourful and musical tale does a great job of capturing one’s attention and is a great way of introducing another culture in your kids lives. The Breakfast Club: Share this classic movie with your soon to be teens. This coming of age classic is sure to be a good time for the whole family. Big Fish: Just as they start to drift away, reel them back in with this enchanting tale of family and life. This film’s touch of magical realism and comedic moments are sure to keep the whole family captivated. Movie night wouldn’t be complete without some tasty snacks! Our chick’n & cheese snackin’ crescents are the perfect shareable snack for a cozy night in.